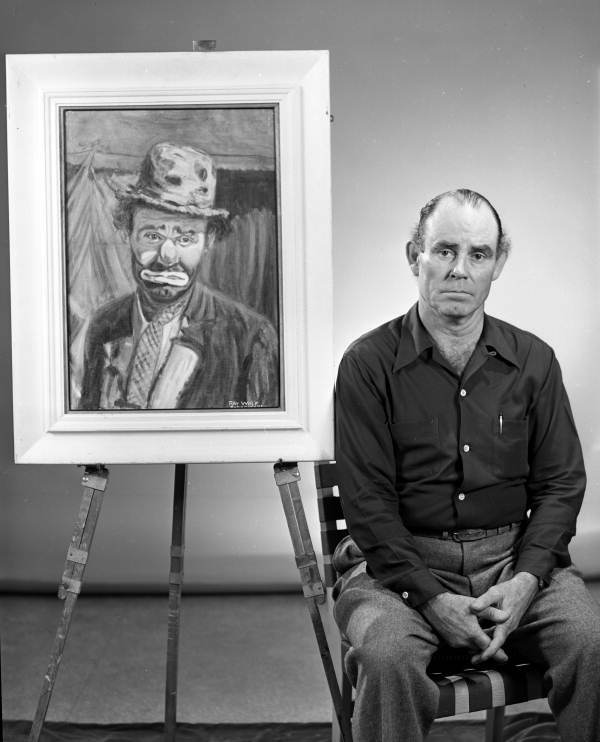 Weary Willie is the depression era clown made famous by Emmett Kelly, born December 9, 1898. Weary Willie was a tragic clown. He was usually sweeping up the circus rings after the other performers. One of his most famous skits was unsuccessfully trying to sweep up the spotlight on the stage. In honor of Emmett Kelly and Weary Willie, I wish you all a smile today. 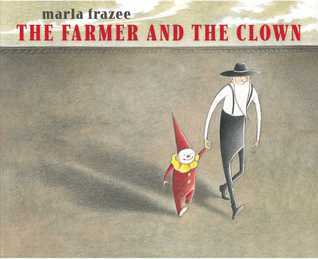 This wordless picture book tells the story of an old farmer who while working in his fields sees a circus train go by. The train buckles and a baby clown is thrown from the back of the train. The farmer takes the clown home. The clown eats with him, washes up, and goes to bed. But he’s afraid. The farmer sits with him all night. When the clown wakes up afraid, the farmer makes funny faces and calms him down. The farmer teaches the clown some new tricks and the clowns learns how to live on the farm and take care of the animals too. One afternoon the farmer and the clown are having a picnic under an old tree, when a circus train comes back through the farmer’s field. The farmer and the clown wave down the train. The clown’s family sees him and they stop the train to pick him up. The farmer has to say goodbye to the baby clown, but on the last page we see a baby monkey following the farmer home. Clowns can do many things. Clowns get dressed for the big show, they throw pies at each other, they ride bicycles on a tightrope, and they ask friends from the audience to help them sometimes. Clowns have fun closing around. Jingle the circus clown, loved the circus parade. His job was to ride with the baby animals and take care of them because he is too young to perform with the other clowns. Every year the circus stopped at the same village between Christmas and New Year’s. On Christmas Eve, they performed for the village people. It was Jingle’s favorite show of the year. But one year, after a wet spring and a hot summer, many of the villagers had closed all the shops and left town. Only the old-timers were left and they could not afford to celebrate Christmas. 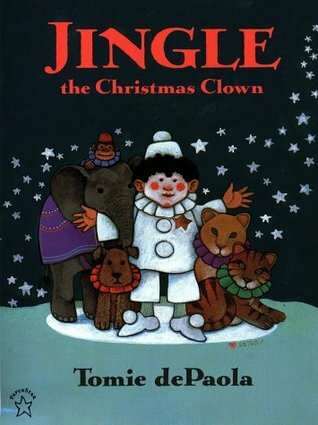 So the circus moved on, all except Jingle and the baby animals who were too tired to keep going. The old-timers were sad, but they took Jingle in with all the baby animals. Jingle felt sorry for the old-timers who going to have to miss Christmas, so he planned to put on a small show for them. That night the snow fell deep but Jingle put on a show in the town square. At the end of the show, Jingle and the animals formed a pyramid making a living Christmas tree. Each one held a lit candle. Suddenly, an angle appeared on the top of the living Christmas tree. The angle dropped gold stars on the tree and the ground. When the angel was gone, one gold star remained. It was attached to Jingle’s shirt over his heart.